Congrats to two great Seattle restaurants in the running for top honors and to the local chefs up for Best Chef: Northwest. Two Seattle restaurants have been nominated for top nationwide James Beard honors: Edouardo Jordan’s Southern smash hit JuneBaby, open less than a year, is up for Best New Restaurant, while forward-thinking bastion of fine dining Canlis, open since 1950, is in the running for Outstanding Restaurant. For a primer on JuneBaby, in case you haven’t been able to get a seat yet, see Bill Addison’s “America’s Next Great Southern Restaurant Is in the Pacific Northwest” (which helped earn the Eater National critic a nomination for Distinguished Restaurant Review). Seattle’s storied Canlis won its first James Beard award last year, in the Outstanding Wine Program category (after 10 nominations! ), while Canlis’ Brady Williams received a nomination last year for Rising Star Chef. 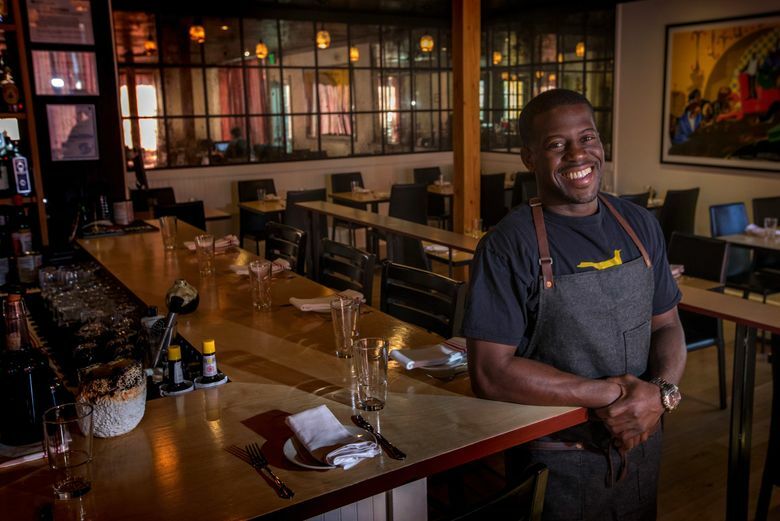 Edouardo Jordan is also nominated for Best Chef: Northwest (for JuneBaby and Salare), along with chef-team Rachel Yang and Seif Chirchi (Joule and more). (All were named finalists in the same category last year.) Rounding out the Northwest chef nominations: Katy Millard (Coquine, Portland), Bonnie Morales (Kachka, Portland) and Justin Woodward (Castagna, Portland). And representing the Northwest in this year’s James Beard media nominations, Nathan Myhrvold and Francisco Migoya’s epic Modernist Bread — published by Myhrvold’s Bellevue-based The Cooking Lab — is up for a book award. And in the podcast category, Seattle’s Rachel Belle is a finalist for Your Last Meal (with Rachel Belle). Here’s the complete list of the 2018 James Beard Award nominees — winners will be announced on May 7.